It is not so well known by visitors and tourists, but the stunning natural beauty of the beach and surrounds make it well worth a visit. 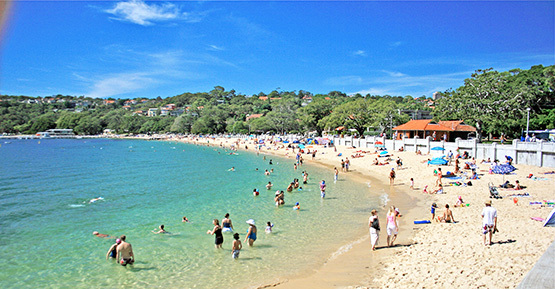 The beach is situated in Hunters Bay, which is the first body of water inside Middle Harbour. 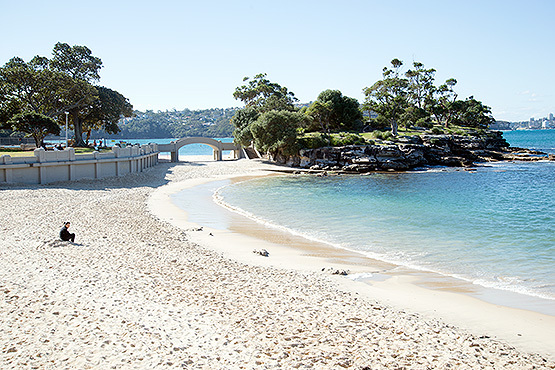 Although the beach backs onto the HMAS Penguin naval base, it's hard to see the military buildings because of the forest that covers Middle Head. 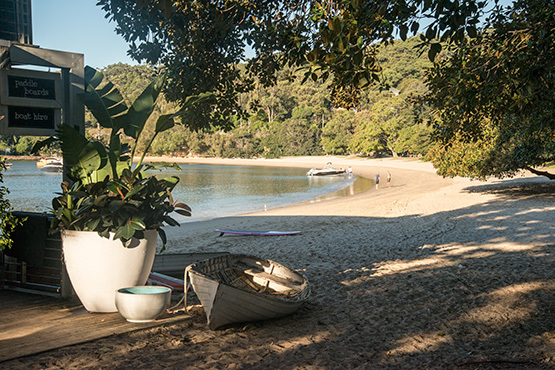 The southern end of the beach is an idyllic setting with dozens of yachts moored in the sheltered waters and magnificent Moreton Bay fig trees lining the beachfront. 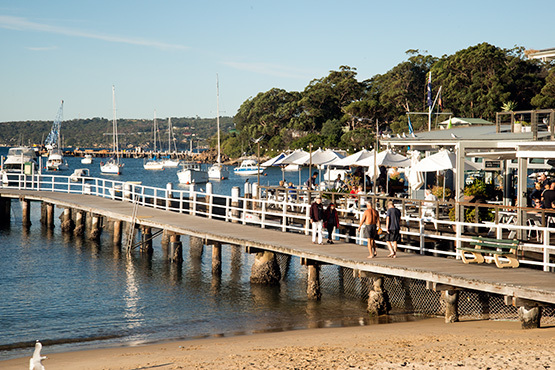 The nearby Boathouse restaurant and cafe has become a landmark in the area and enormously popular in the warmer months. 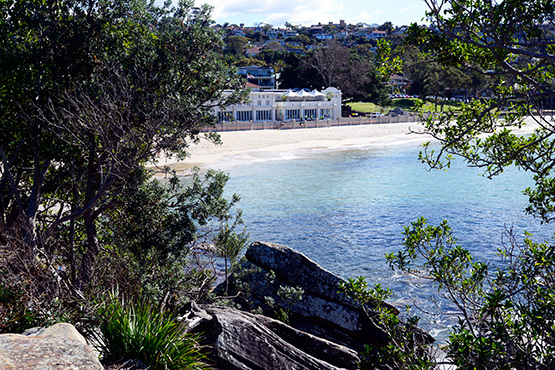 The eatery is set up in a former beach boathouse that sits out over the water. 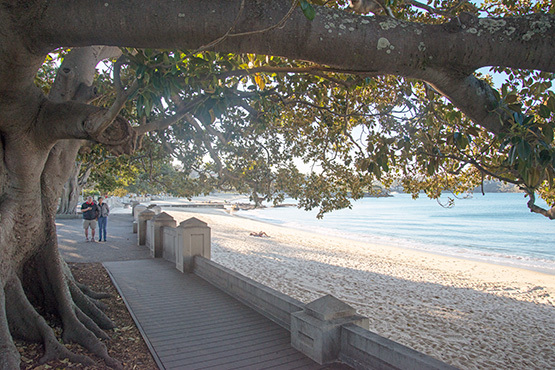 A tree-lined promenade runs the length of the beach and continues to neighboring Edwards Beach. The two beaches are separated by Rocky Point Island, a tiny outcrop accessed by an arched concrete bridge that has been conserved as a small, lawned recreational area. 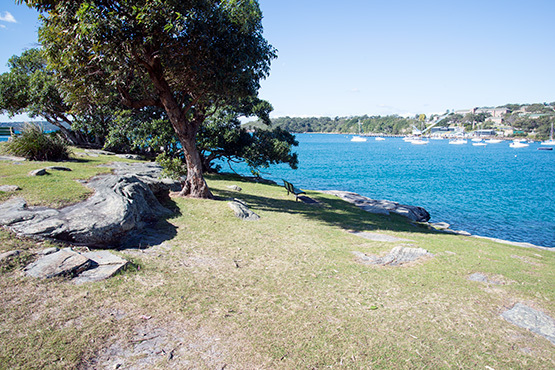 This is a favourite spot for picnicers and and seats are placed at scenic vantage points around the small island. 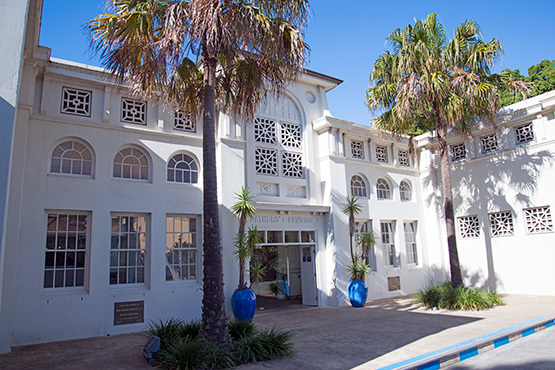 The stand-out building on Edwards Beach is the Bather's Pavillion, an historic white pavillion built in 1928-9 that enjoys a new lease of life as a cafe and restaurant. It is a rendered brick construction of classic Mediterranean influence employing elements and finishes common to the Spanish Mission style. 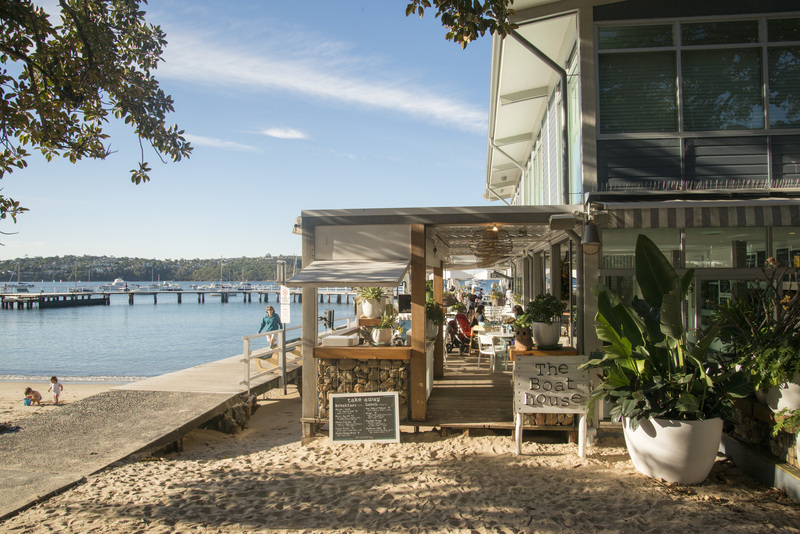 The Boathouse cafe and restaurant is a landmark on Balmoral Beach. A former boathouse, most of the structure is built out over the water. 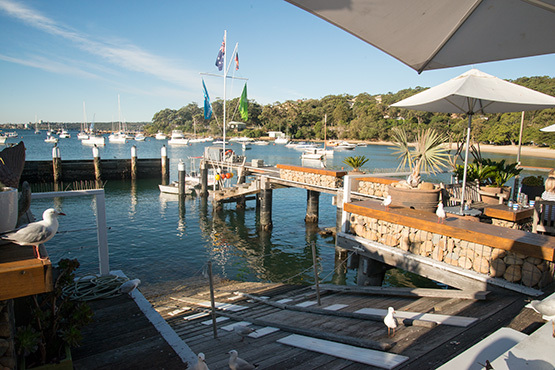 There is an excellent view of the bay and yachts tied to their moorings from the rear of The Boathouse.